The basic idea is that merchants can go to the 1Pay website , create an account, thus giving them access to the API key and SDK to integrate payment via mobile for their games, content, or mobile apps. It allows customers to pay by SMS, online, and via prepaid cards for purchases via their mobile. Basically, you can buy things on your mobile in Vietnam now with 1Pay, and merchants can check and collect all their sales in a dashboard provided by 1Pay. 123Pay is connected and widely used in many fields varying from Digital Service (games online, online music); E-commerce (sales websites); to utility services like booking vacation tours and hotels, cinema/airline tickets, cell-phone top-ups, paying electricity/water/ADSL bills. 123Pay’s advantages including: Bank Link System which connects nearly all 40 banks in Vietnam, accepts international debit/credit cards from Visa, MasterCard; International-standard Security System. Payoo is an e-wallet services company designed to “assist users in buying, selling and making transactions” online. Payoo offers services to both individuals and businesses. For personal users, Payoo provides a digital wallet that can be loaded via bank transfer to make purchases on the Internet; for businesses, Payoo’s e-wallet acts as an intermediary to enable online businesses to accept payments online. OnePay is a leading online payments and financial transaction processing company in Vietnam. Established in 2006, during the early days of e-Commerce in Vietnam, OnePay provides the following products and solutions. A payment gateway (senpay.vn) that authorizes payments for e-businesses and online retailers in Vietnam since 2008. VNPAY connected and cooperated with banks to establishment of a payment solution basing on modern means such as : Mobile Banking, VnTopup, Bill Payment VnPayBill, Online services portal – Vban.vn, VnMart e-wallet, Utility sim, Selling air tickets. E-wallet WebMoney Vietnam help customers access online payment services globally. The product allows customers to pay electricity and telephone bills, do the online shopping and transfer money. Customers can also use the product to withdraw money at banks associated with VNO or WMV agents. As a portable sales counter, Cyberpay helps you to open your retail business and sell game cards, mobile phone top-up cards, etc., with ease and safety. Ngan Luong – an online wallet and payment platform, founded in 2009 – provides a payment solution for e-commerce websites between buyers and sellers. It‘s linked to many reputed e-commerce sites, such as ebay.vn, chodientu.vn. By holding a step of cash delivery when buyers make it and actually receive products. 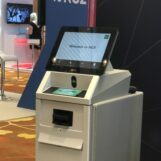 ZingPay is an extended feature of the integrated platform – Zing, developed by VNG. It was built in 2010 and is for all online payment transactions in the Zing community, especially ZingPlay – A gaming tool. The money in the community is called Zing Xu. This is a base of 123Pay development later. Moca is a premier payment company providing the most innovative mobile payment solution with the best customer experience. OnOnPay is an online topup tool for pre-paid mobile users in Vietnam, aiming to expand to Southeast Asia region. OnOnPay brings convenience, rewards and next level of customer service to all users and transactions. VTPay is for the payment of personal income tax and estimated personal income tax. Business taxpayers should use myVTax to pay their personal income tax withholding, sales and use tax, and meals and rooms tax. Vimo is an e-wallet and mobile payments app. Vimo enables users to pay online and make peer-to-peer transfers in just a few seconds. MoMo is an e-wallet and mobile payments app. MoMo enables users to pay online and make peer-to-peer transfers in just a few seconds. With MoMo, users can make transactions such as buy games credit, top up, as well as pay their utility bills. MoMo currently supports payments to nearly 100 services providers and online businesses.The payment system is integrated with 24 domestic banks, as well as international payments networks including Visa, MasterCard and JCB. As a state-owned enterprise, and a subsidiary of Vietnam Multimedia Corporation, VTC Pay provides the alternative payment methods for Vietnam Market, including: Prepaid Cards; VTC Pay e-wallet and payment gateway; VTCid; PSMS. This payment gate is holding the largest payment network in Vietnam with 29 domestic banks and 02 International Card Manufacturers Associations. Sohapay.com provide the best customer service, create online payment environment safe and convenient. It allows individuals and businesses to settle transactions across multiple e-commerce websites, including Buy Generic , En Silver , Dan Tri , Buy cheap , Dragon Bay , Soha Movie, and more. 2C2P offers all solutions to a comprehensive payment of e-commerce and m-commerce businesses. This Thailand startup is expanding accross Asia Pacific countries and comes to Vietnam. Bao Kim E-Commerce JSC provides online payment services. The company was founded in 2010 and is based in Ho Chi Minh, Vietnam. Bao Kim E-Commerce JSC is a subsidiary of Vatgia.com. BankPlus is an offerings from Viettel, starting with the service of transfering money among banks on mobile devices, then cash delivery. Speed, convenience, easiness are BankPus’s unique points. 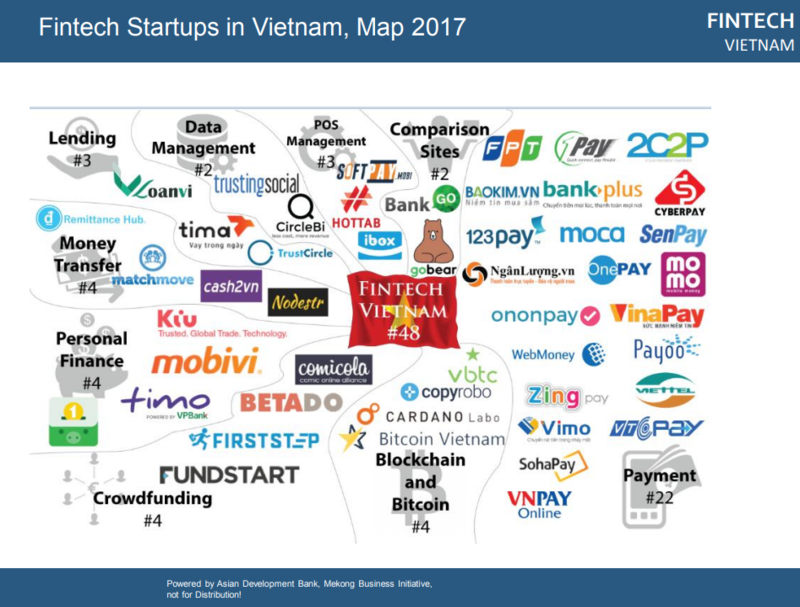 This was one of the earliest Fintech companies in Vietnam. Nodestr makes a service of transferring money across borders. It helps its customers make service/product payments without currency exchange fees and capital requirements within 3-5 seconds. FPT Software is part of FPT Corporation (FPT – HoSE) – the global leading technology and IT services group headquartered in Vietnam with nearly US$2 billion in revenue and 32,000 employees. Loanvi is an online peer-to-peer lending platform for personal loans in Vietnam. 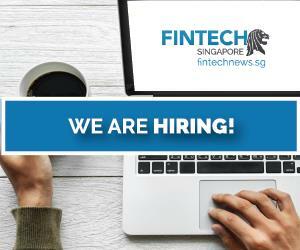 Founded in 2015, the startup aims at bridging the gap between underbanked individuals and investors by creating an accessible channel for individuals to acquire loan financing and for investors to earn solid fixed-income returns. With initial investment capital of VND 150 billion, TIMA will start to participate in the financial technology market by 2015 as the first provider of peer-to-peer (P2P) technology in Vietnam. In June 2016, TIMA started to provide financial consultancy and connection services, providing simple, fast and reliable financial advice to customers nationwide. With the power of technology to help people easily access support from friends and family, Trust Circle develops technology solutions created by the hands of programmers. Vietnamese people in order to contribute to a better life for not only the people of Vietnam but also the entire global user. Cash2vn is Vietnam’s leading Bitcoin startup to bring fast and easy access to the global Bitcoin economy to the Vietnamese market. Cash2vn aims to provide a comparable service at a significantly lower rate by the superior process that the Bitcoin platform enables. Cash2vn delivery options currently include forwarding to all local bank accounts with additional cashout options (also suitable for residents / travellers without a local bank account) being added over the coming months. Bitcoin Vietnam Co. Ltd., a Vietnamese Bitcoin startup founded in late 2013, is aiming to bring world-class Bitcoin technology to the Vietnamese market. Due to the international composition of the current team with strong ties to some of the world’s leading Bitcoin spaces (Germany, Israel, Singapore), Bitcoin Vietnam Co. Ltd. will be able to provide cutting-edge technology on an international standard regarding usage of the Bitcoin technology in Vietnam. VBTC, a project of startup Bitcoin Vietnam, is taking aim at the unbanked population and will enable users to deposit and withdraw cash from more than 9,200 locations across Vietnam. Verified users enjoy instant bitcoin deposits, which enable them to trade without keeping funds on deposit at all times at VBTC. Founded as a research team, CARDANO Lab studies and develops services based on various blockchains for innovative and industry-leading products and services for a wide-range of industries. As the name suggests, of particular interest is the advanced CARDANO blockchain, which is the first blockchain to result from scientific theory and is prepared to offer an unparalleled amount of features that protect user privacy while being mindful of regulatory needs. Copyrobo has become the first and only Blockchain company managed to produce most legitimate timestamped proofs on Android, iOS and Web applications by combining Blockchain Protocols (BTC, ETH, LTC) and qualified timestamp authorities in a single platform in the world. Hottab is a startup that offers a new solution for point-of-sale (POS) management for F&B business. Hottab provides service tablets and a POS system for food and beverage (F&B) businesses. A cloud-based system connects all devices using Hottab. It includes an application installed on tablet devices that allows waiters to create new orders. It also enables customers to self-order at the table. SoftPay is a leading Mobile Point of Sale (mPOS) solution and Payment Facilitator company in Vietnam. SoftPay’s mPOS solution enables businesses and individuals to accept credit cards (Visa, MasterCard, JCB, Amex, China UnionPay), debit cards, bank cards, loyalty cards and all other kinds of card payments anywhere at anytime. Our mPOS solution is highly secure and has achieved numerous certifications to give merchants and customers peace of mind when processing payments. ibox, in South-East Asia and Russia, set to revolutionize the global payments market. With ibox solution, merchants accept credit and debit cards, using their smartphones or tablets, in a simple, secure and cost-effective way. ibox expanded into 5 countries across South-East Asia. The company has major offices in Hong Kong, Hanoi, Bangkok, Jakarta and Moscow. FundStart is a crowdfunding platform that allows artists and project leaders to raise fund from the crowd, “turning dreams into reality with funds coming from the community.” Fundstart seeks to allow the community to find the best projects to support and project owners to engagers with backers and get media attention to reach success. Comicola is a crowdfunding platform in the cartoon industry. The company has its own website and a distribution system which is teeming with activities to engage young artists, writers, and readers. Comicola, which also offers courses in applied comic art in Vietnam, has forged increasing partnerships with local artists and comic illustrators. Betado is a crowdfunding platform that allows startups to raise fund from the crowd. Betado seeks to allow the community to find the best startups to support. Firststep is a crowdfunding platform that allows startups to raise fund from the crowd. Firststep seeks to allow the community to find the best startups to support. Firststep is the reward-based crowdfunding platform in Vietnam. Firststep build this platform to get fund for Vietnamese ideas. Founded as Consumer Finance Division of Vietnam Prosperity Joint-Stock Commercial Bank (VPBank), after 5 years of establishment, FE Credit successfully transferred all consumer finance operations to the new independent company – VPBank Finance Company Limited, abbreviated as VPB FC (Brand FE Credit) in February, 2015. 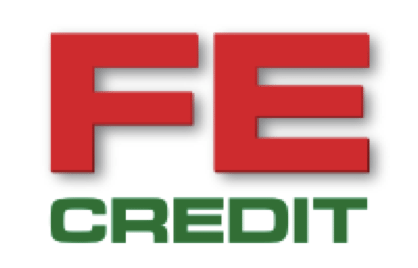 FE Credit launched the first personal loan management app in Vietnam. 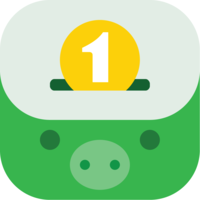 Money Lover is a finance management app that allows users to track their expenses over time and manage their monthly and annual budget. Among its features, Money Lover supports multiple accounts, has a cloud sync solution so we can access your financial data on all devices, as well as auto backup. As the 1st digital bank in Vietnam, Timo offers a variety of banking services, such as money transfer, bill payment, savings, … Powered by VP bank, Timo has a strategy to re-invent the banking industry. Timo brings a 100% free services to end-users with an idea of creative Banking experience. 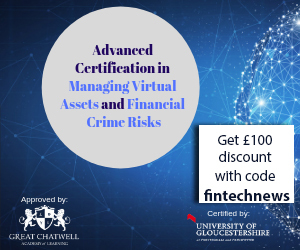 MobiVi’ is a financial services company, providing transaction solutions to banks, individual users and corporate clients. The company books a monthly revenue of $10M and provide core to core connection with over five biggest banks in Vietnam. Money Lover app is basically a finances and expenses manager for individuals. It allows you to track your expenses over time and manage your monthly or annual budget. CircleBii is an analytics app focusing on cashflow for startups and SMEs. Founders use it to get quick insight about their startup finance and optimize every penny they put in. TrustingSocial is reinventing credit scoring based on social, mobile and web data. Marketplace lending is disrupting retail banking by leveraging propriety Big Data credit scoring technologies. They make their TrustingSocial Authenticity Score available for free to everyone in the world, so that they can build trust instantly with each other. BankGo is the first platform providing the information about financial product to banking consumers for their comparison. It automates the purchasing process for users and analyzes financial products in practice. It optimizes consumers’ benefits and consumers’ rights. 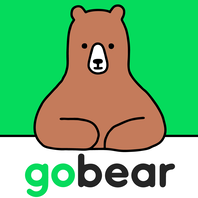 GoBear is Asia’s first and only metasearch engine in financial products. It was founded based on the simple premise that a consumer should find freedom and ease in choosing complex financial products like insurance, credit cards and loans. Headquartered in Singapore since early 2015, GoBear has continued to expand in Malaysia, Philippines, Thailand, Indonesia and Vietnam.